Object Technology Jeff Sutherland: Waterfall Method: A Colossal Blunder! Larman, Craig. 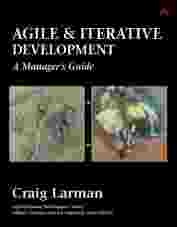 Agile and Iterative Development. Addison Wesley, 2003. I have received many requests for documentation of project failures caused by the waterfall method and the history of the many disasters introduced by accident when the Department of Defense standardized on a method that was unproven on large projects and essentially, a blunder by a consultant who had little experience with real software development. This five star book is certainly required reading for anyone interested in Scrum, particularly those who are Certified ScrumMasters.